After an incredibly emotional exit from Grey’s Anatomy, Patrick Dempsey wanted to give a shoutout to the viewers. 11 years is a very long time to be on a show, and the fans are exceptionally loyal. Patrick seemed to enjoy his time on the show, but also seemed ready to move on. Recently, he announced he’s selling his Malibu home, so people everywhere are very curious to see what he will do next. Yes, it’s official: actors Ian Somerhalder and Nikki Reed are married after a very quick engagement. 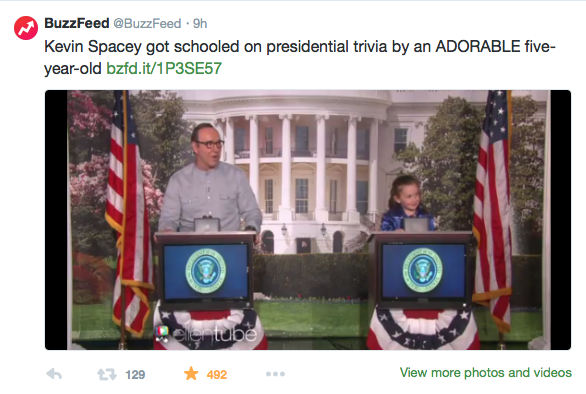 Soon after this news hit, pictures of them from a private outdoor ceremony surfaced. There are a lot of mixed fan reactions out there. A lot are happy for the newlyweds, while some fangirls are devastated over the loss of arguably the hottest vampire on television. We wish them all the best! 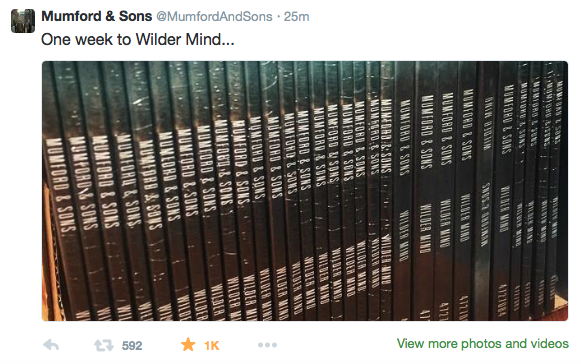 On Monday, Mumford & Sons tweeted a picture of their brand new album, all ready to go. Now, with only a few days left to wait, fans are getting very excited. It’s been three years since we had new music from the indie folk group. So far, they have released four singles, and all of them are great, leading us to believe Wilder Mind will be amazing. You can pre-order on iTunes now or wait until Monday, May 4 to get your copy! 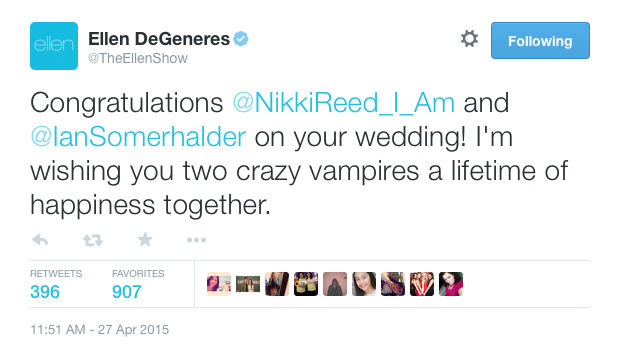 What are your thoughts on Ian and Nikki’s surprise wedding? And are you excited for the new Mumford & Sons? Let us know in the comments or tweet us using #glamorouspaper!